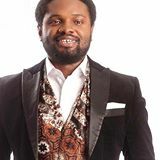 Renowned producer Cobhams Asuquo has been featured on different platforms and by different artistes where he used his talents to glorify God. For instance, by Nikki Laoye, Rooftop MCs, Daystar Christian Center’s Efizi Night amongst others. SelahAfrik brought you news in October that Cobhams was about to release a single, we can categorically tell you that the single whose title is “Ordinary People” will be released on the 1st of January, 2014. 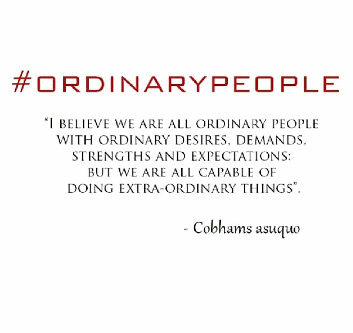 “Ordinary People” will be Cobhams Asuquo’s first solo release since his career and journey into music started. Cobhams said he hopes to be a blessing and an encouragement to someone through the song. “Most of you may have noticed that I have been talking about ordinary people on Twitter, and hash tagging ordinary people, like somebody who has never seen hash tags before in his life (LOL!). You may also have noticed that I have been talking about ordinary people who are doing extra ordinary things, the reason is because I believe we are all ordinary people with ordinary desires, demands, strengths and expectations… but we are all capable of doing extra-ordinary things. I believe we should all look for the extraordinariness in the ordinary and strive to live it day after day. There is nothing wrong with being ordinary; no need to be afraid of being ordinary because regardless of how ordinary you think are, you can do extraordinary things. I hated my voice when I started singing, but that voice, which I probably thought was mediocre has enabled me do things even I could not have imagined. I am delighted to share my first single Ordinary People with you on January 1st, 2014! This is not just music to me, it is a movement. So tell your friends, get involved, be part of the ordinary people movement.